which locks your trolley line in place with a simple “flip of a switch” motion. in place on the side of your NuCanoe, not over the gunwale. quietly secured until deployed. Includes 35’ of USA made 550 paracord with a highly reflective tracer. 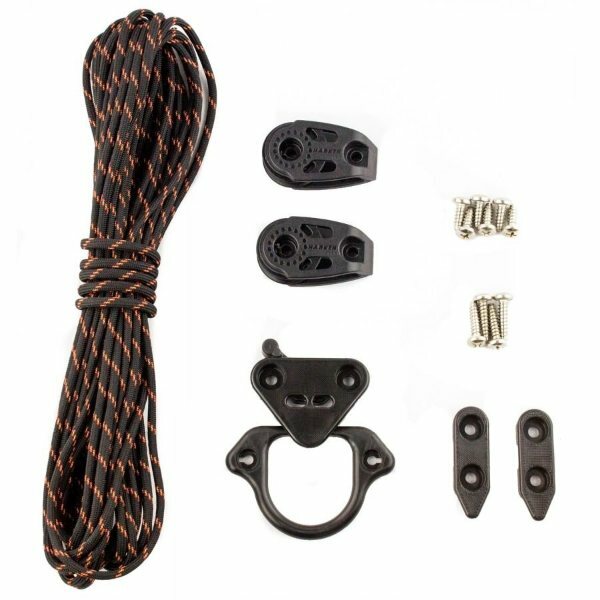 Features Harken® Pulleys for super smooth operation.